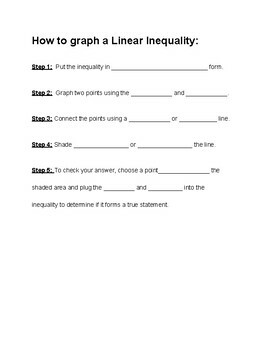 Students will connect graphing linear equations to graphing linear inequalities in this short guided notes paper. 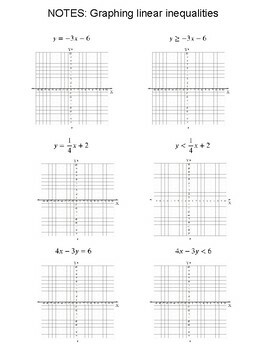 You can use the graphing side first or the guided part first. I liked using the graphing first then having students fill in the guided part as a sort of formative assessment (we then checked together and made modifications).